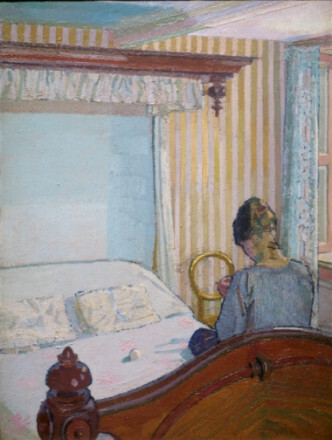 The death of Harold Gilman in 1919 deprived British art of a vital and significant presence. In the last decade of his life his work displayed an increasing engagement with French Post-Impressionist painting and he developed a style quite unlike his erstwhile mentor, Walter Richard Sickert, and other Camden Town artists. With his particular use of colour and paint, Gilman's images offer a highly individual view of modern urban life. His work has a powerful presence and realism, yet it remains enigmatic. 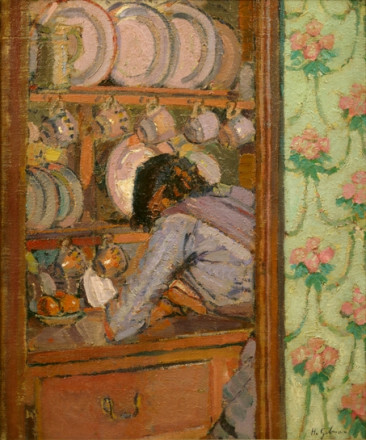 In much of his mature painting, and especially the important group of works depicting his housekeeper Mrs. Mounter, Gilman created a distinctive vocabulary to explore the interiors and people living in London during the First World War. This is the first significant exhibition of Gilman’s work since 1982. Bringing together works from both private collections as well as national institutions, it will reveal the innovation and pictorial power of an artist who died prematurely at the height of his artistic powers.